Last month, the Maryland legislature received proposed legislation that aims to relax laws that govern motorcycle riding. The proposed legislation, Maryland House Bill 917, would require the Motor Vehicle Administration to change its guidelines for motorcyclists and would repeal current provisions of Maryland law that prevent motorcyclists from engaging in behaviors known as “lane-splitting” and “filtering.” The sponsor of the bill, Del. Kathy Szeliga, argues that repealing these portions of the law would help to improve motorcycle safety, and to lessen congestion on Maryland roads. However, motorcycle safety advocates have voiced serious concerns about the proposed legislation. Lane-splitting is a term that refers to motorcyclists overtaking or passing motor vehicles while riding in the same lane as that motor vehicle. In other words, lane-splitting refers to passing a car, but doing so within that car’s lane. Filtering is a term that refers to riding forward through traffic that is stopped. The Pew Research Center explains that the Governors Highway Safety Association (GHSA) has not taken a position with regard to lane-splitting. But at least one consultant for the GHSA has described the practice of lane-splitting as hazardous. The AAA Foundation for Traffic Safety and AAA Mid-Atlantic oppose lane-splitting and filtering, arguing that it makes roads more dangerous. The only state in the U.S. that permits lane-splitting at present is California, but other states have introduced legislation that is similar to Maryland House Bill 917. While Szeliga does not expect that Maryland House Bill 917 will pass in the current session, one of her aims was to introduce the idea to the public more generally with an eye toward reintroducing a bill to allow lane-splitting and filtering in the future if the currently proposed legislation fails. Without legislation like Maryland House Bill 917, if a motorcyclist engages in lane-splitting or filtering and is struck by a car, that motorcyclist may be barred from compensation. To be clear, Maryland operates on a theory of pure contributory negligence, which bars a plaintiff from compensation if that plaintiff is even one percent responsible for an accident; even more reason to get a great lawyer as soon as possible if hurt on a motorcycle. 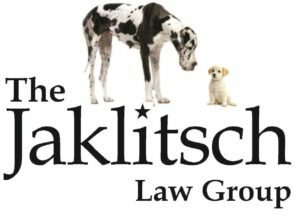 Call the motorcycle lawyers at The Jaklitsch Law Group, 855-BigDog1.